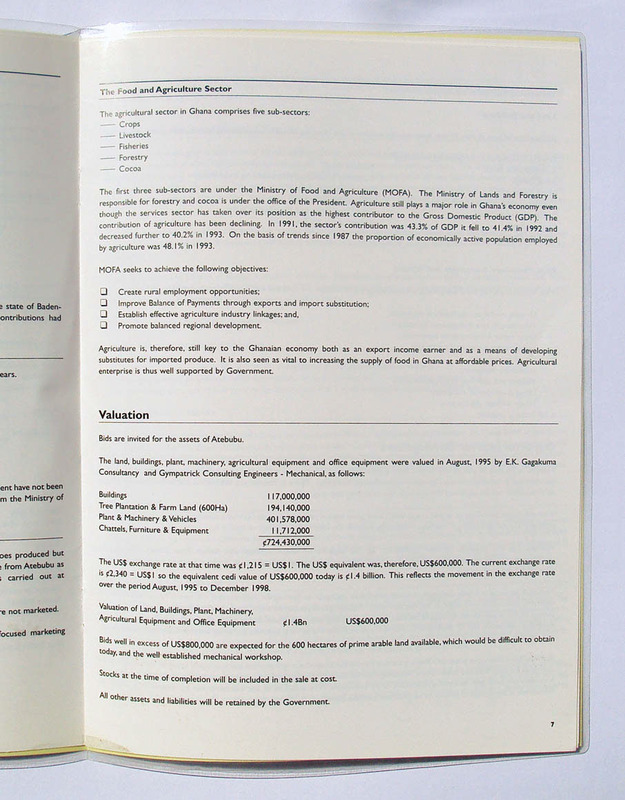 Atebubu Commercial Farms Ltd (Atebubu) is a wholly Government owned state enterprise in Ghana. It is based in the Brong Ahafo Region, close to the Volta Lake. 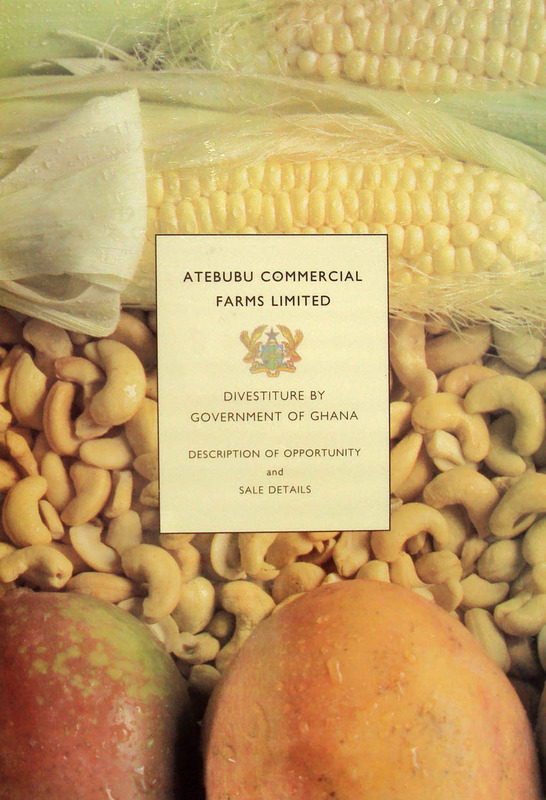 Atebubu Commercial Farms was started as far back as 1958. 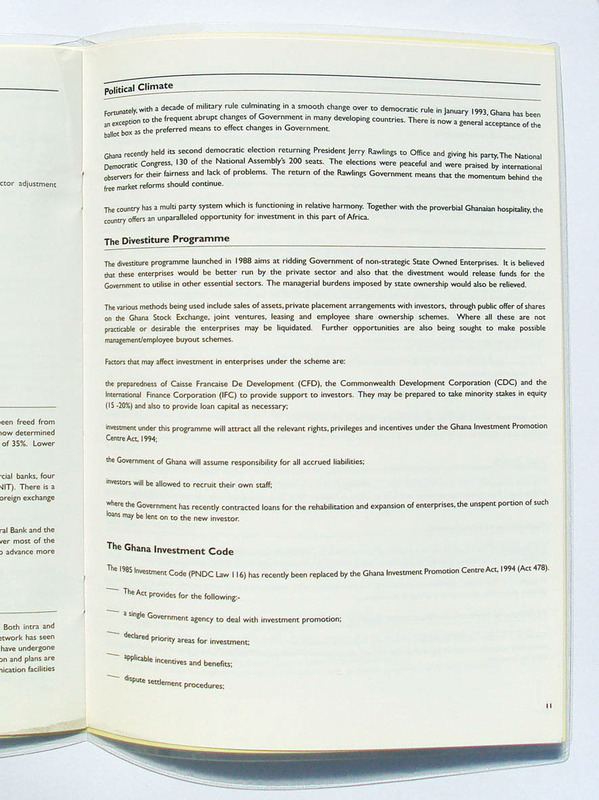 It has been commercially involved with Maize, Mango, Cashew production and the operation of a mechanical workshop. 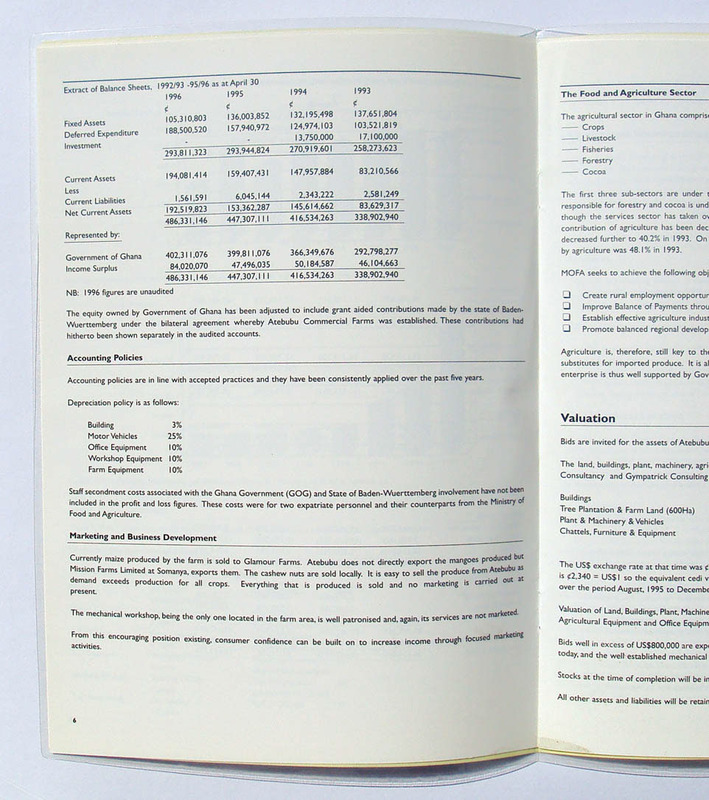 The Prospectus was 20 pages including the cover was printed four colour process throughout on a 170 white art. The cover was laminated front and back. 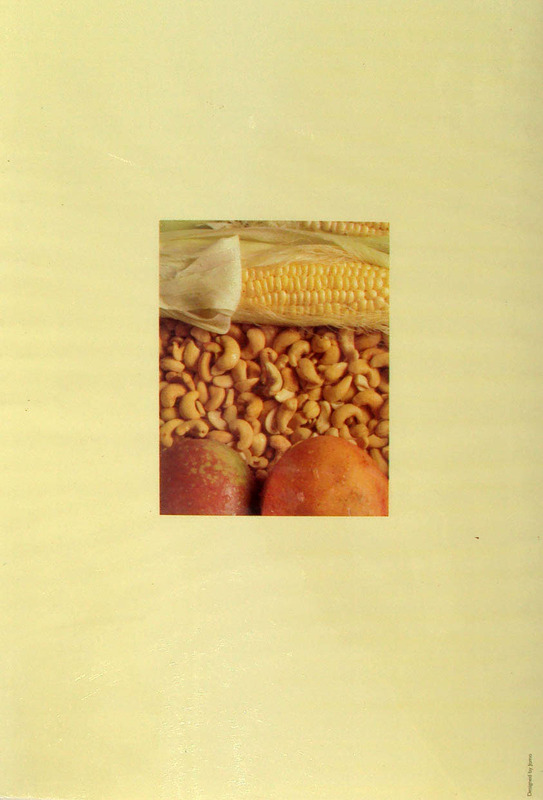 Maize, Cashew nuts and Mangos were used for the cover as they are the farms products. Maize seed is also developed for commercial distribution. 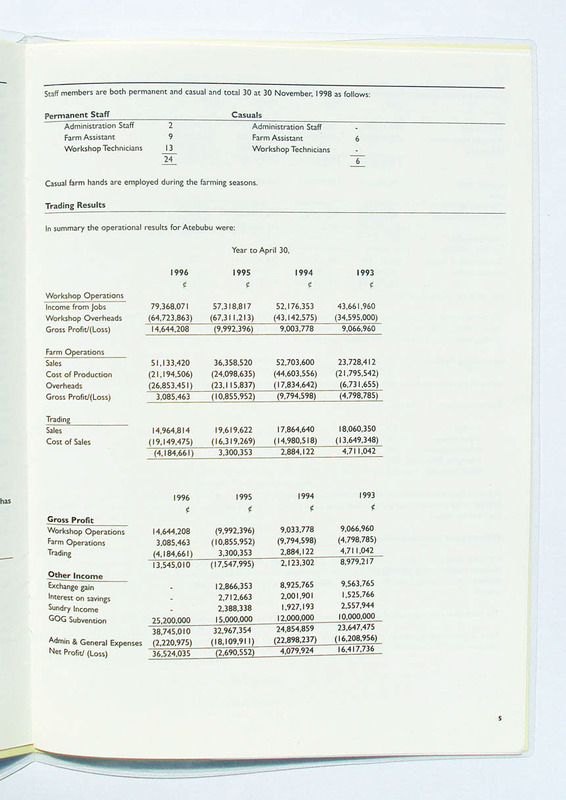 The produce is easy to sell as demand exceeds production.